At the end of my review of the beautiful sounding Trafomatic SM-300B, both Srajan and I commented on the high price such amplifiers command due to necessary circuit complexity, tube cost and transformer size; as well as on some of the sonic shortfalls which are almost unavoidable in such designs. We also commented on the fact that a well-executed pentode amplifier can deliver a lot of the same pleasure for a lot less money and in some regards actually more so than a triode amplifier, even a push-pull design like the Trafomatic. I first had opportunity to test that theory with Triode Labs' EL84TT, a small push-pull amplifier using EL84s strapped as triodes. I ended up giving it a Blue Moon award for its sweetness of sound plus great control at what these days still passes for a reasonable price. Although not sounding as big and holographic, the EL84TT exhibited a good dose of triode flow and ease with much better control than any 300B amplifier I recently tested though with only 6 watts on tap it still ended up being limited to speakers of fairly high efficiency. 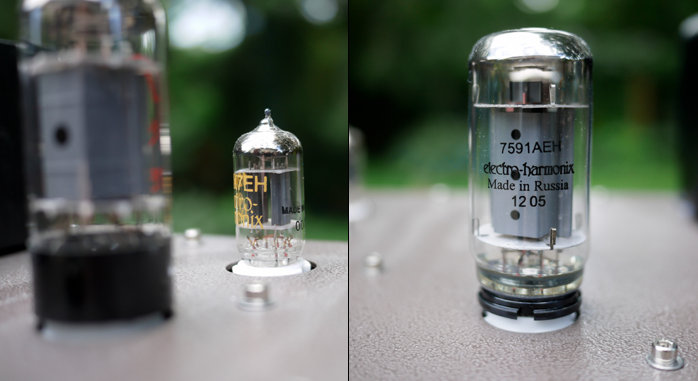 Enter the Finale F-7591 for round two in our little contest of small pentode against massive triode. 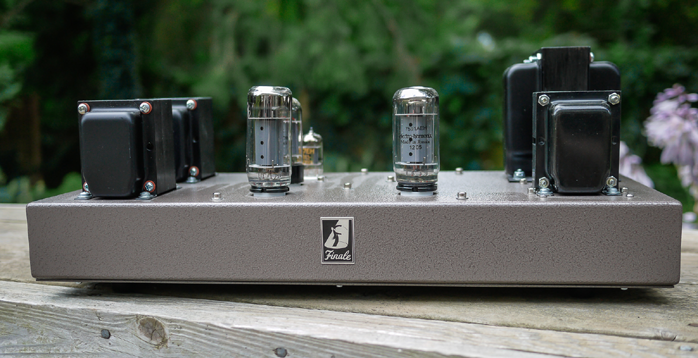 Finale is the second brand in Tube de Force's stable, sister company to Triode Labs but aimed at more broadly accessible electronics than the more upscale Triode Labs. 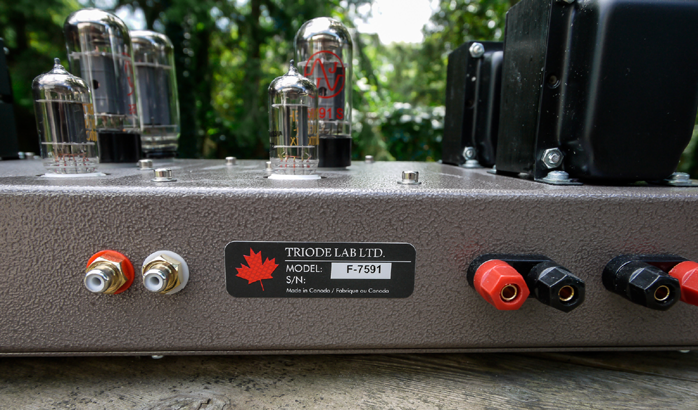 As such the F-7591 comes in at $2.499 and 20 watts to offer what passes for real power in the world of tiny tubes, similar in fact to the 22-watt Trafomatic for a fairer comparison at least on wattage. Until I received the Finale I'd never heard of the 7591 power pentode so I did some research. Although it's hardly used in modern designs, it was at one point during the sixties quite popular in stereo amplifiers from Scott, Fisher and even McIntosh. 7591 push-pull designs typically offered between 20-30 watts and were considered quite robust and dynamic. The reason for current lack of interest seems to be the rarity and price of vintage tubes as well as reduced quality from modern samples by JJ and Electro-Harmonix.